Recently we hosted a group from China and they were introduced into the world of scuba diving through the PADI Discover Scuba Diving (DSD) course. 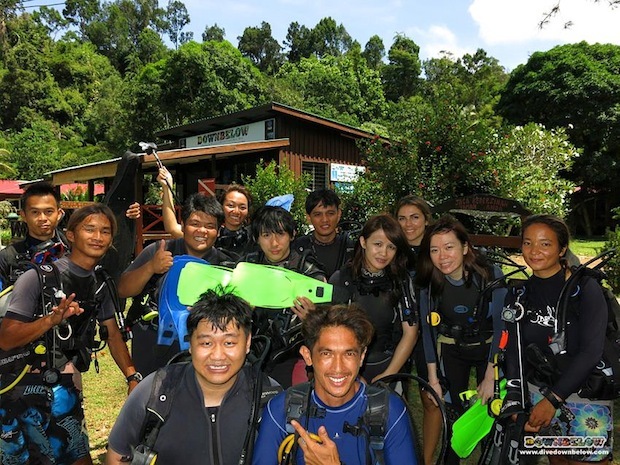 Needless to say the group enjoyed themselves diving in the lovely waters of Tunku Abdul Rahman Park Borneo and because of the fun they had they were considering to learn more about scuba diving by taking up the PADI Open Water course. That is why the PADI DSD was created, to allow anyone who hasn’t dived before a chance to try it out to see if they enjoy the underwater world, in the majority of cases people love it and the participant can decide to take the next step. Here’s hoping the group will take diving as one of their recreational activities and enjoy underwater sights and sounds.